After Resident Doctors, Paramedical Workers of the Government hospitals Dissent. After seeing a series of strikes being organized by doctors in different parts of the nation, the capital today, saw another section of healthcare employees dissenting. 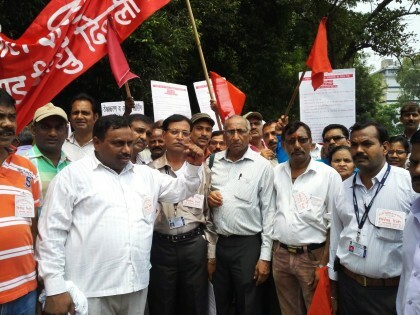 An Association called All India Health employees and workers Confederation organized a rally from Mandi House to Jantar Mantar in the capital today. Having people travelling and coming over from different parts of the nation to participate, the rally came as a desperate resort on the part of paramedical and other healthcare workers(including group C&D employees) to make the central government hear their demands. Stop privatization of healthcare services, outsourcing, as well as contractual hiring. Finish contractual hiring. Make staff permanent. Make patient care allowance equivalent to nursing allowance, and implement it to all the staff on the lines of the nursing staff make it a part of the pay as it is for the doctors. 100% Anukampa Niyukti for the kin of deceased employees. Provide uniform and washing to allowance to Asha workers, same as nursing staff. Guarantee the safety and preservation of the dignity at workplace of all healthcare staff. 1 comment(s) on After Resident Doctors, Paramedical Workers of the Government hospitals Dissent.